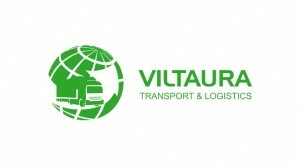 JSC ”Viltaura”- focused and stable operation logistics company. We are an international logistics business participants regularly organizing cargo transportation to / from all European and CIS countries. We work and follow the organization of the transport service and security requirements. We know and make sure all the logistics chain activities. Our Clients and Partners are satisfied with our work and organized transportation compliance deadlines. ”Viltaura” commercial activity started from freight on international routes in 1998. Since that time significantly expanded the range of services and strengthened our position in the logistics market. 2012. Changed shareholder and all the staff were abandoned freight and refrigerated transportation tilts to move. From 1998. JSC ”Viltaura” owns IDUs LINAVA association, and is a true member. 2013m the company received a high credit rating, which is populated by 4% Lithuanian companies (rating prepares Visa). Today we – working steadily and dynamically growing international logistics business players have won regular customers and partners trust. A number of training in transport, insurance and legal fields, continual interest in the field of transport and logistic realities allows us to select and recommend the optimal logistics solution and, if necessary, provide legal knowledge. Our employees experience quickly gained confidence thanks to cargo owners, carriers and partners trust. It try to justify serious attitude to work: we listen to each client’s individual needs and respond quickly to problems. Due to the customer’s wishes offer optimum logistics solutions and control the entire process to ensure the safe transportation of cargo. Actively participate in the EU Structural Funds published by the Business Support competitions. Thanks to them constantly raise the professional qualifications of employees, increasing the company’s competitiveness in export markets, and invest in infrastructure renewal and development. JSC ”Viltaura’s” vehicle fleet consists of all standards-compliant and equipped with modern GPS and GSM equipment Mercedes Benz, DAF, Volvo cars, trucks with tilt trailers and road trains. The main traffic directions are HU, SLO, SK, CZ, S, D, DK, FIN, PL, LT, LV, EE and CIS. We provide prompt and high quality international full, partial, oversized, dangerous goods transport and logistics service. Are not limited only to freight movements on private transport. Our reliable, thanks to long-standing partners, we can transport your cargo by sea, by rail to any country in the world. Freight forwarding requires timeliness, accuracy and response to ever-changing conditions of transport. No matter what you carry, from which country you are in, you have a lot of transportation conditions. Because each client is equally important to us, we will select the individual meets the expectations of your commercial offer.